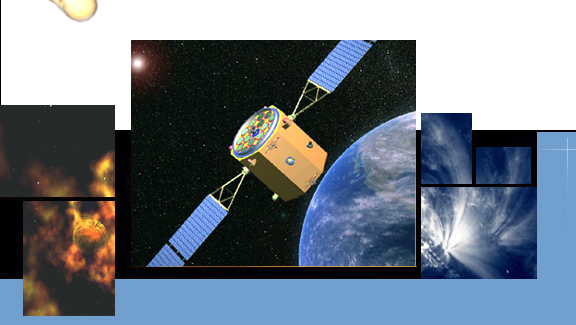 The Phase A study of the HXMT mission has been jointly supported by the Ministry of Science and Technology of China, the Chinese Academy of Sciences, and Tsinghua University since 2000. So far, all the key technical difficulties of the telescope have been overcome, the ground prototype of HXMT has been constructed, and the balloon borne flight testing has been finished. The platform HXMT will use is that of "Ziyuan II" (Earth Resource II) satellite series. This long-time tested platform meets the requirements of HXMT very well, and there is no key technical difficulty that needs to be surmounted. Therefore, HXMT is ready for develop and launch. The main hard X-ray imager of HXMT is based on the direct demodulation (DD) imaging method and the well established NaI(Ti)/CsI(Na) phoswich detection techniques. The hard X-ray band is a key waveband for high energy astrophysics studies. Exploring various kinds of black holes is a major frontier of physics and astronomy in the new century. Hard X-rays originate mostly from regions close to black holes and are highly penetrating, and are therefore important tools for studying the physical processes in the extreme conditions such as high matter density, high energy density, high electric-magnetic field, and high gravitational field. An all-sky hard X-ray survey. To create a high precision hard X-ray sky map and to discover about 1000 new hard X-ray sources including possible new types of objects. Active galactic nuclei (AGN). The energy source of AGNs remains a mystery. It is probably from the interaction of massive black holes with the surrounding materials. HXMT will systematically study the hard X-ray emission properties and mechanism of various types of AGNs, especially the type II AGNs that are thought to be extremely absorbed. X-ray binaries. An X-ray binary involves a compact object (a black hole or a neutron star) and a normal star. HXMT will observe the hard X-ray spectra and temporal variability of X-ray binaries, study the formation and evolution of accretion disks, jets and black holes, and further test various general relativistic effects. Supernova remnants (SNRs). SNRs are longly thought to be the producer of cosmic-rays up to the 1015 eV. HXMT will study the nonthermal X-ray emission properties of SNRs and explore the particle acceleration at the shock front. Soft Gamma-ray burst Repeater (SGR). SGR are thought to be high energy transient sources associated with young highly magnetized neutron stars. The bursts are probably corresponding to the sudden magnetic energy release caused by the cracking of the neutron star crusts. HXMT can study the structure of magnetars, the matter state equation in strong magnetic field and with high density. Clusters of galaxies. Clusters of galaxies are the largest systems that are bounded gravitationally in the universe. HXMT will study the hard X-ray emission of clusters of galaxies and explore their origin. Gamma-ray bursts (GRBs). GRBs are the most violent explosions is the universe, and explaining their origin is a serious challenge to astrophysics. GRBs can be also used to explore the early universe. The Southampton Group the team are part of the team providing the IEXD (Intermediate Energy X-ray Detector Array) detector, comprising ~1000 square cm of silicon photodiodes and a complex collimator to provide imaging in the 8-30 keV energy range.